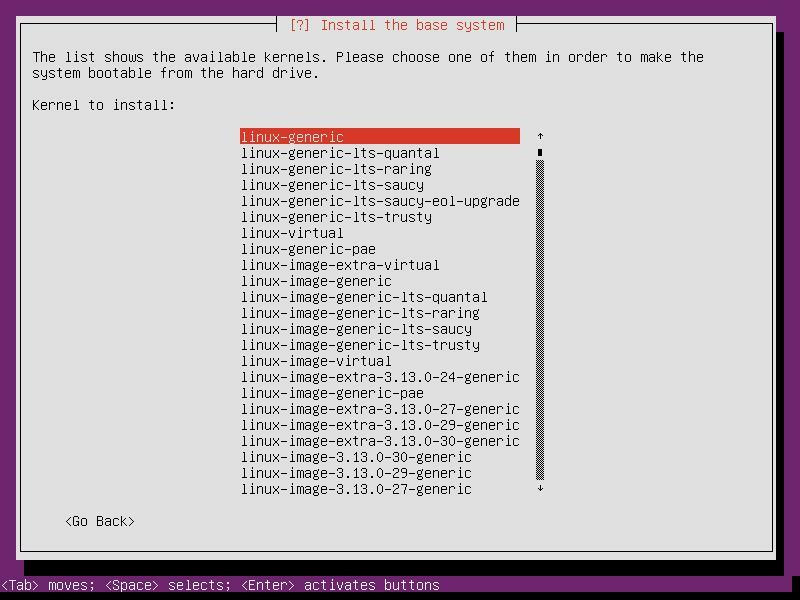 When installing 14.04 from the mini iso, I have to select which kernel to use. I have simply been choosing linux-generic-lts-trusty without giving it much thought. Should I choose one over another ? Also, while we are talking kernels, is there an intel atom netbook optimised one available for Ubuntu, and if so should I really be using that ? EDIT : I have added the kernel selection page screenshot. When I doubt, for a desktop, use the generic kernel. For a server use the server kernel. If you are going to run a kernel that is optimized for your hardware, I suggest you compile your own. It is intimidating to do so, but, with modern options, it is not that difficult. Now you have all the parts you need to compile. The ubuntu kernel source code has already been patched. localmodconfig will examine the modules you are using and compile those (so no need to know your hardware). and go to the CPU section and see what, if anything, applies to your CPU. If you do not understand the options, go with the default. And update grub, boot to your new kernel. Note: It is highly unlikely you will see a performance boost over the generic kernel. You might be able to benchmark it, but it is not going to make unity, your desktop, firefox, or other applications run faster. These are all generic kernels. But different versions. quantal, raring and saucy should point to the same kernels, because these meta packages are for compatibility with upgrades from 12.04. Now there are also utopic and vivid for 3.16 and 3.19. I suggest installing 3.13 because it will be supported till 14.04 end of life, or vivid as the latest. In most cases, simply use the latest AND longest supported generic kernel. I made my own kernel, it is really small, but no real difference in performance. I lost some hardware support - if my computer fails in any way, I can fix it easily with the generic kernel, but not with the compiled one. What's the minimal compatible Linux kernel version required to run Ubuntu? installation of older kernel - as further option - no problem? How to update kernel to 3.19 on 14.04 with i915 Intel graphics? 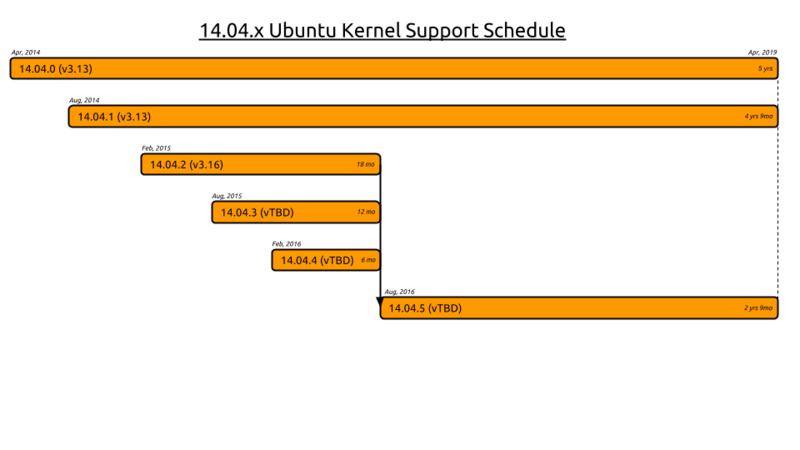 How do I know if the STIBP slow patches were backported to my ubuntu kernel?